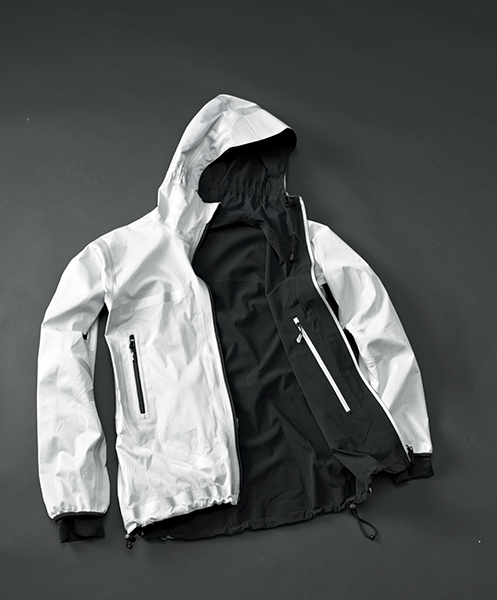 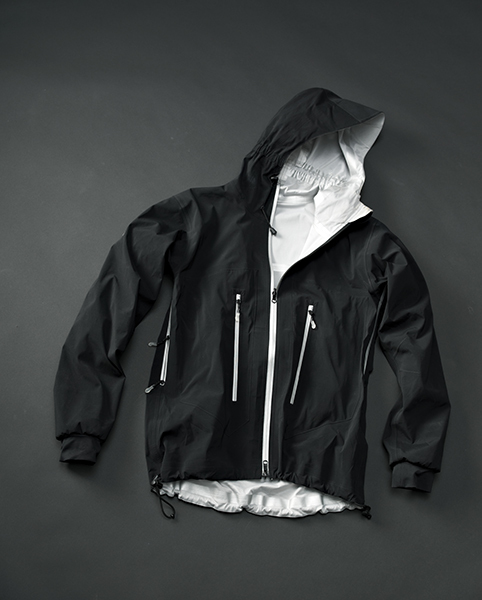 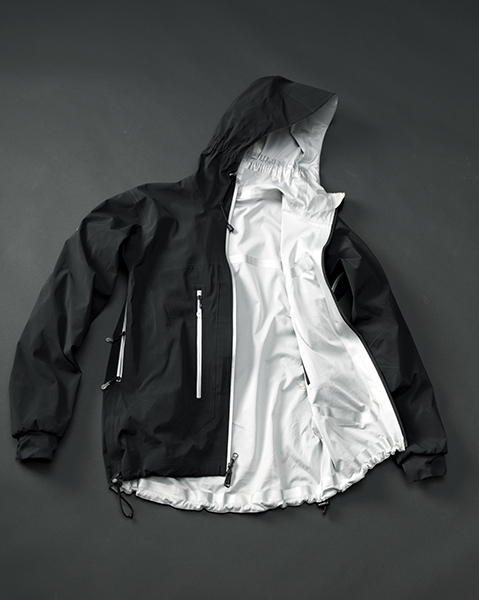 A reversible jacket made from a special three-layer fabric. 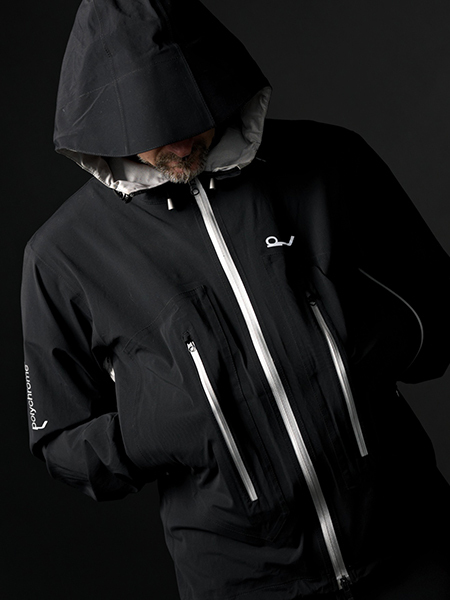 The dark side keeps you warm while the light side is for keeping cool. 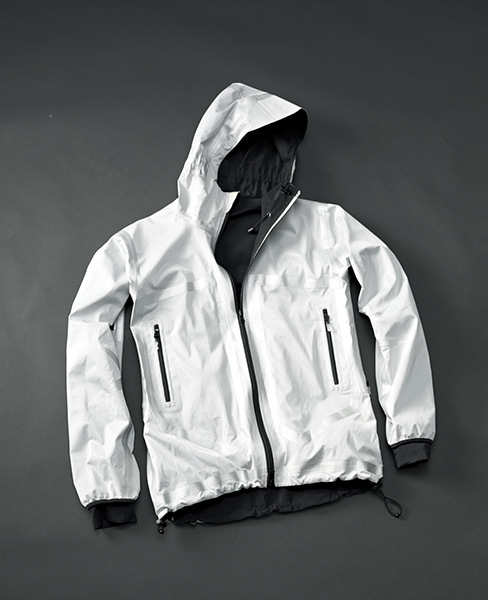 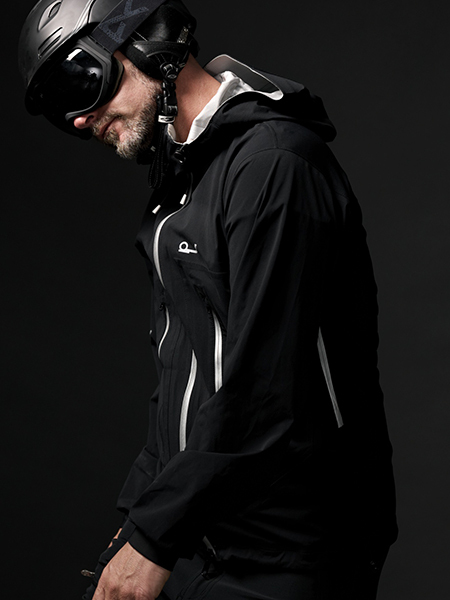 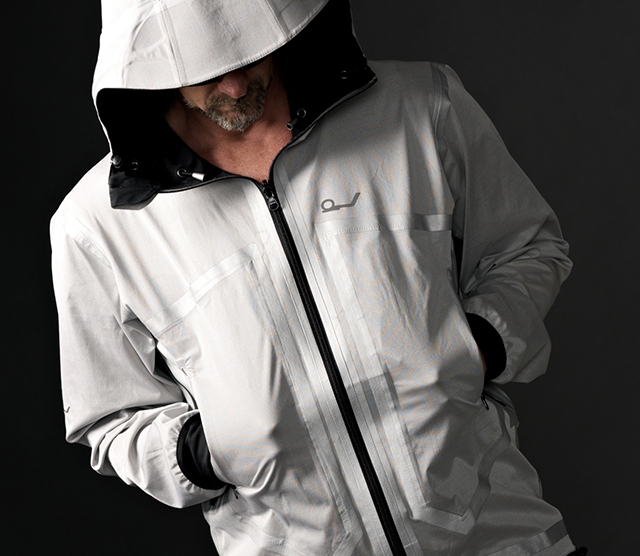 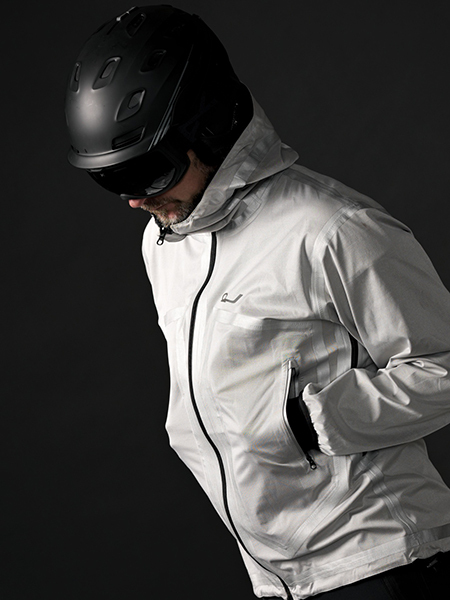 The jacket is also breathable and waterproof.